Musical traditions are incredibly important – and some of the most recognisable and popular are the ones surrounding Oktoberfest! But what makes this event so spectacular and its music so amazing? The fact that they’re so upbeat is definitely one of the reasons why. 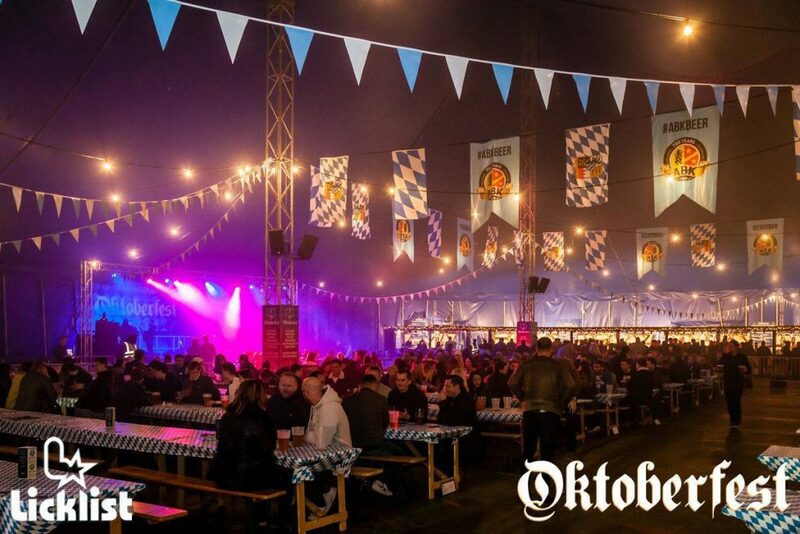 Who doesn’t like dancing along to some fantastic beats while enjoying the greatness that is Oktoberfest and its 7 million litres (or more) of beer? Sure, a big part of Oktoberfest is the beer and food, but so is the music! Traditionally, the music playing at this festival is not, contrary to what you may think, polka. It is, in fact, German Oompah, which has more of a brass band appeal (or Blaskapelle)! This style of music is famous throughout the world and it’s easy to see why. The folk beat, the singing, the linking of arms, the swaying to the music, the dancing… and doing it all in community! After all, what sounds better than enjoying a great time with your friends or even socialising with new people with some oompah as the soundtrack of the event? Oktoberfest’s oompah creates an atmosphere of contentment, happiness, relaxation and amiability that is difficult to find anywhere else. However, many songs are played during this festival from more traditional ones to modern ones with an oompah twist, for example, so you’ll to experience a variety of music. The most important thing is that every song gets you singing, dancing and having fun! There are so many great songs that have become an integral part of Oktoberfest celebrations, and it would be impossible to list them all here. No matter what songs are chosen, there is one common ‘rule’ between them all: to make people dance and enjoy themselves! 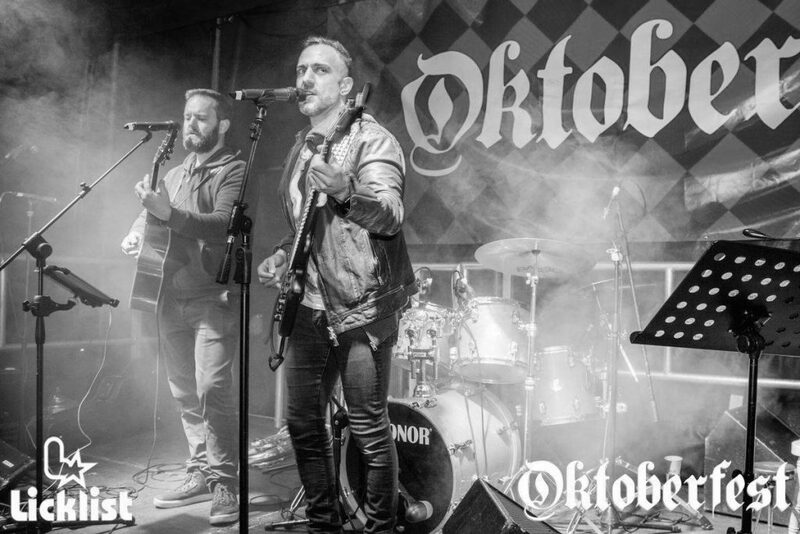 So, which amazing songs are usually gracing Oktoberfest, be it in Germany, the UK, or anywhere else in the world? You might hear this song over and over again (but you’ll probably never get tired of it) during Oktoberfest. Meaning “I Salute to Our Cosy Friendship & Good Times We’re Having Together”, Ein Prosit der Gemütlichkeit is played in beer tents so much that you can pretty much time it! It’ll play around every 15 minutes and will certainly get people to drink and sing. Lots of fun and entertainment to be had with this merry tune. Literally translated to “The Aviator Song”, this music tells the story of someone who is enjoying themselves so much that they feel like they could fly – how appropriate for Oktoberfest! This song is great to dance while drinking amazing beer, especially when the crowd pull out their best imitation of an airplane. Can you imagine yourself inside a beer tent when this song starts to play? Contagious fun is not an understatement! Or “The Donkey Song”. This is a great traditional Oompah band song and a must-hear at many Oktoberfests, from Munich to the US. This Bavarian tune tells the tale of a donkey that wants to go home as he waits outside for the female donkey Veronica. Strange story it might be, but the truth of the matter is that Das Esellied is incredibly popular at this festival and beloved by many who can’t wait to sing and dance to it. A great song that is often played at Oktoberfest. Titled “Hands to Heaven”, this lively tune will have you raise your hands up in the air and clap along, which does mean having to put down your beer! However, there is no loss here, as you will indulge in a bit of fun together with everyone around you. Everyone clapping to the same song feels great, as you’re all in the same state of mind; also, with a song that asks that you cast aside all worries for the day and just have fun, how could you possibly say no anyway? It might seem strange to you that a song that doesn’t sound German in nature has become so popular at Oktoberfest, but it truly doesn’t matter! If the song is good and perfect to accompany a round of beers with your friends, then that’s what’s important. Animated dance moves and hand gestures (especially lassoing) go great with “Cowboys and Indians” – especially as everyone gets on top of chairs and tables to dance! There is so much to do at an Oktoberfest, with the most important things being having fun! Music is a great part of this, as it keeps everyone entertained and belting out their favourite tunes (as well as dancing to them). You can hire us to liven up any party, be it Oktoberfest or a wedding, and we’ll make sure everyone has a grand time!